I read this article and found it very interesting, thought it might be something for you. 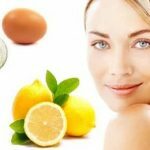 The article is called 6 Homemade Egg White Face Masks (For Stunning Skin) and is located at https://homemademasks.net/homemade-face-mask/egg-white/6-effective-homemade-egg-white-face-masks/. The ingredients to look youthful may be as close as your kitchen. Homemade egg white masks are cheap, fun and work brilliantly well. As I get older I have been searching for something that could help slow the ageing process down a little. However, our skin is under attack 24/7 by many factors – ranging from involuntary exposure to harmful radiation (such as the sun) to diet. Even the products we buy to improve our skin can cause problems. So even the most pampered skin can start showing signs of aging and fatigue. Egg white. 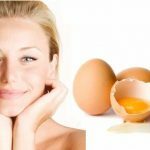 Yep, the humble egg has the answer to youthful looks! 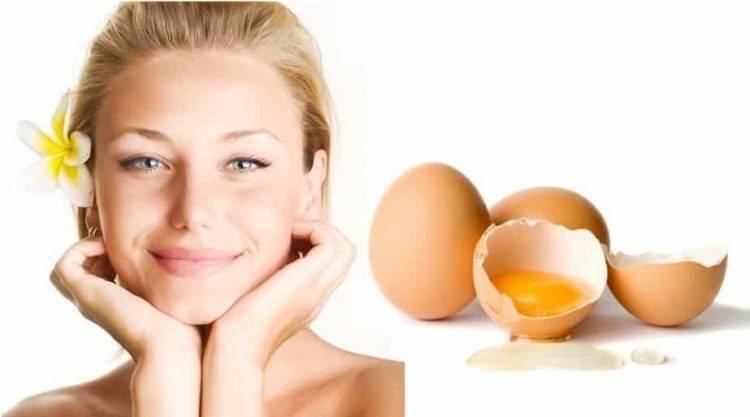 Studies have shown that egg proteins significantly contribute in maintaining the elasticity of skin. An egg contains about 69 different proteins, which have the magical power of reducing fine lines and give temporary relief for the deep ones. Egg whites are high in collagen and vitamin A (which is essential in the development of products that are able to treat scars or burns). Just remember to mix your egg white really well each time you use it (by mixing it you will obtain a foamy egg white look). So now you know the miracle ingredient, the next question is how to use them in a mask that will benefit you. If you are the type of person that can’t be bothered ALWAYS making your own home made masks then you might be interested in these egg white based products that are packed with brilliant ingredients. This once a day miracle egg white mask will make your skin glow and always gives great results. It is easy to prepare and it will nourish your skin thoroughly giving you a radiant complexion. It only takes a few minutes to prepare and after leaving it on your skin for 15-20 minutes you can enjoy the results. I also provide variations of this mask so that it is suitable for normal, dry, oily and sensitive skin. It really is one of the most versatile masks I know of. 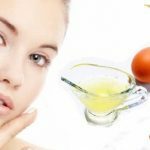 Really simple egg white face mask that is quick to make and helps firm your skin. Apply it on your freshly cleansed skin and leave it to work for 15 minutes. The result will pleasantly surprise you as your skin will radiate with freshness! This is my ‘go to’ face mask if I feel my skin becoming a little too oily, or if I am suffering from an outbreak. I swear by it. It only has 2 ingredients so it is super-easy to make and apply. This mask will firm your skin and reduce your pores giving your complexion an airbrushed look. The egg white has a mild exfoliating effect that removes the accumulated dirt from your pores. 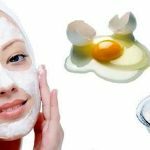 An egg white face mask which will firm your skin. Apply the face mask on your face, avoiding the eyes and mouth area, where the skin is dryer and more sensitive. Leave your face mask on your skin for about 30 minutes. Gently rinse it off with warm water apply a proper moisturizer for oily skin. The egg white helps reduce excess sebum in your skin by shrinking the size of your pores. It will also give your skin a firmer and more even look by greatly reducing larger pores. 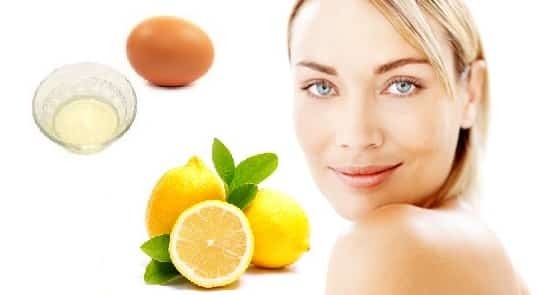 The combination of egg whites and lemon helps create the perfect face mask for acne or oily skin. The secret behind this mask is mixing the egg white with avocado. In case you didn’t know, avocado oil is highly moisturizing, helps smooth out fine lines, and cleanses your skin. As if that wasn’t enough it also soothes sunburn. When avocado is mixed with egg white it provides an unbeatable combination to tighten and moisturize your skin. This mask will rejuvenate your skin and give it lovely glow without any oiliness. First prepare the egg white by beating it until it turns a little frothy. Next you will mash the avocado before adding it to your egg white followed by the milk and honey. Apply the face mask on your face and leave it for about 15 minutes. Egg white will nourish your dry skin while avocado will hydrate it. Avocado can leave your skin looking rejuvenated with a lovely glow within minutes. Avocados contain numerous important nutrients including vitamins A, B, C, E, and K along with minerals such as potassium, copper, magnesium, iron, and phosphorus. 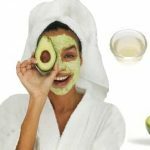 Many products on the market – such as moisturizers, facials, conditioners – contain avocado oil as it provides a great source of several important nutrients which help moisturize your skin. This dry skin face mask will provide great results quickly and effectively. This is a great mask if your skin is a little irritated or blotchy. It works by combining the egg white with honey and yoghurt. Honey has amazing antibacterial properties that help sooth irritation and encourage the growth of new skin tissue. Yoghurt shares these antibacterial properties and also gently smooths the skin reducing fine lines. A great face mask for regenerating the skin and giving it a youthful glow. Suitable for all ages, and all skin types. In order to get the cucumber juice you have to grate it and then squeeze the juice out of it (grate enough cucumber to obtain the amount of juice you need). Beat the egg white until it turns a little frothy. Slightly heat the honey and add it to your egg white along with the yogurt (make sure it’s fresh). After you have thoroughly mixed everything well, add the cucumber juice. Apply a proper moisturizer to suit your skin type after each face mask. Yogurt is so wonderful when applied to the skin. It contains lactic acid that will smooth and gently exfoliate your skin while also reducing fine lines and wrinkles by tightening your pores. There are also natural anti-bacterial and anti-fungal properties that can fight acne. If used with regularity, yogurt has gentle bleaching powers that can reduce discoloration, age spots and blotches. Cucumbers are also brilliant. They are extremely good for you either you eat them or introduce them in your beauty treatment routine. This is a really simple mask that I enjoy regularly. It only has 2 ingredients so it only takes minutes to make but the effects are incredible. It’s honestly like getting a face lift! Egg whites tighten the skin and shrink your pores while the yogurt nourishes your complexion. It’s like getting a Botox treatment! A face mask to cleanse and moisturize mature or combination skin. You can apply this face mask once every 2 weeks. This mask can also be effective for mature skin. This excellent egg white face mask recipe contains yogurt which is packed with vitamins and proteins and is great for skin care. 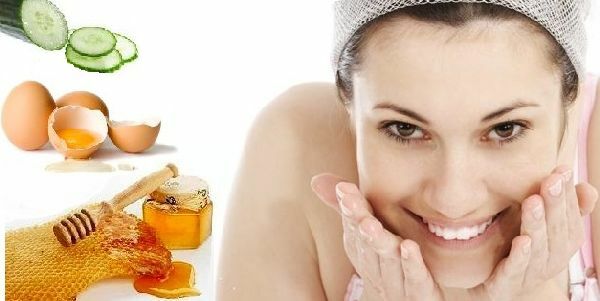 Researches show that yogurt cleanses and moisturizes skin. Exfoliation and skin tightening in a single mask. The mixture of oatmeal and egg white works on every skin type making this a very versatile mask. But don’t think that this makes it a master of none – this mask is as effective on dry skin as it is on oily. Best of all this easy to make mask works wonders on fine lines. Hydrate and calm dry or sensitive skin while gently exfoliating it too with this face mask. Add the honey and the oatmeal, mixing it through really well. This face mask is also good for mature skin as all these 3 ingredients put together, are good for reducing the appearance of fine lines. So if you were looking for a mask that offers mild exfoliation, search no more. If you found this article useful please take a moment to tweet, like, or share this article by using the buttons at the bottom of the page. I’d really appreciate it.